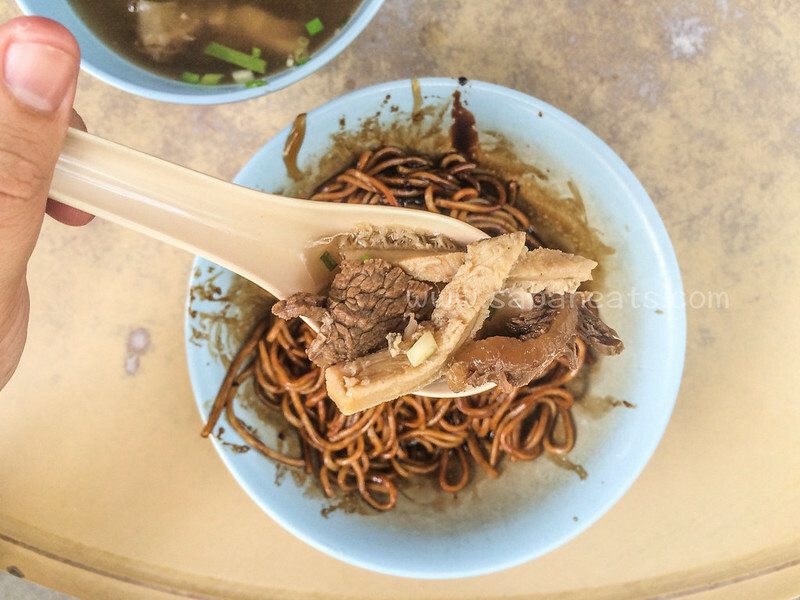 Kota Kinabalu is boasted with a number of good coffee shops serving good beef noodle. 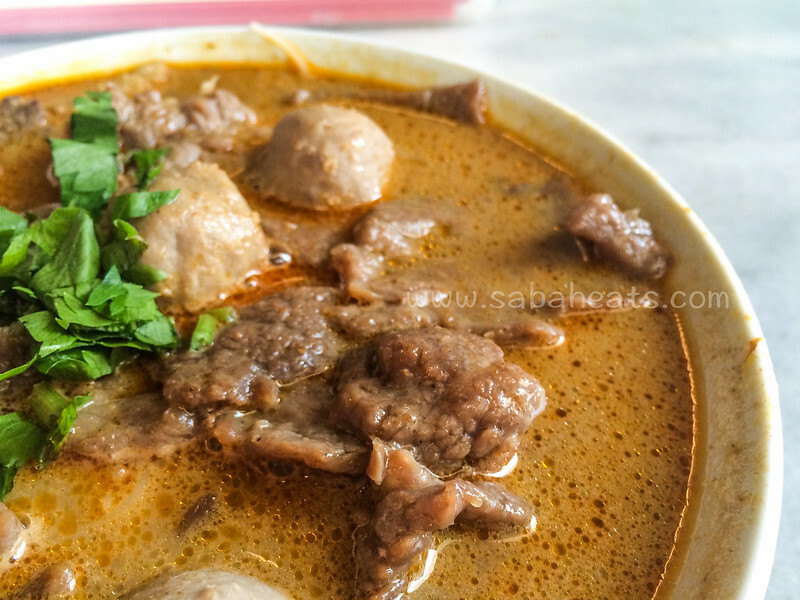 Local call it Ngiu Chap (beef mix). 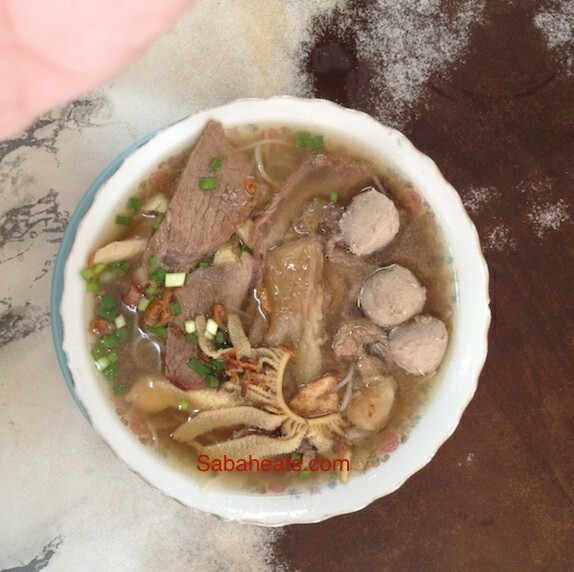 A perfect beef noodle is made up of a tasty beef broth with flavorful and tender beef. 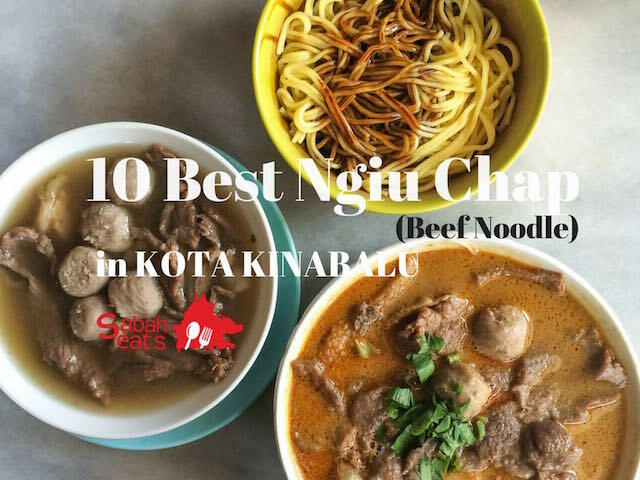 Don’t leave Kota Kinabalu without tasting the delicious beef noodle of Sabah. 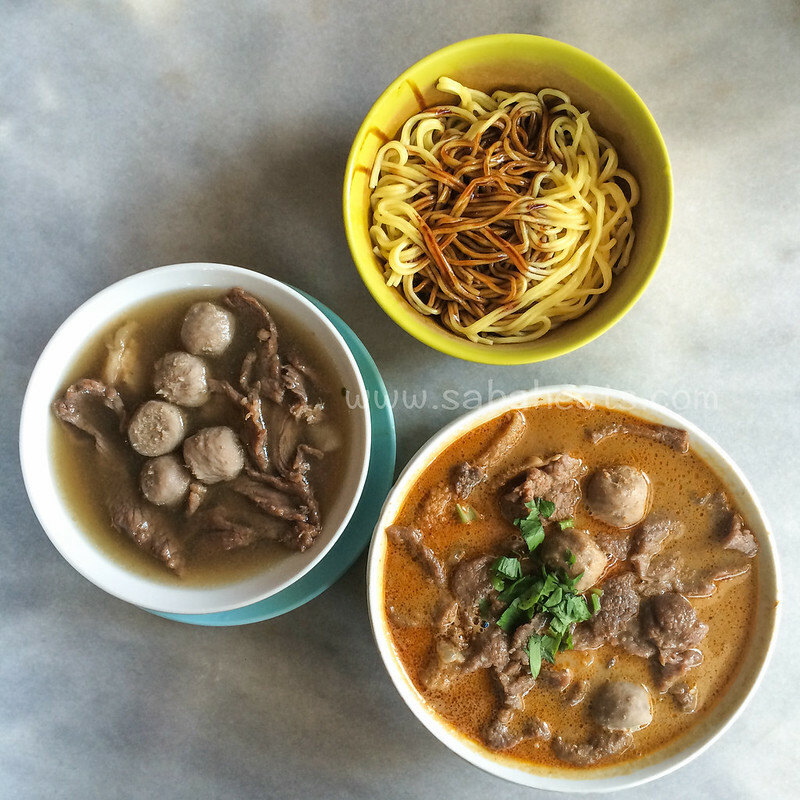 If you are from West Malaysia, you may wonder why there are so many good noodles shop in Kota Kinabalu and it’s so hard to find one in West Malaysia. The reason is that there are many Christian in Sabah and they love their beef. 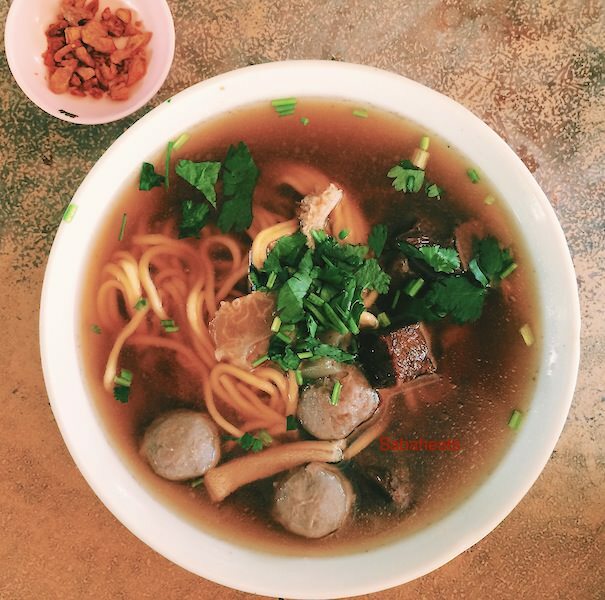 The most well-known beef noodle and the one who started it more than 20 years ago at Menggatal Town about 30 minutes drive from Kota Kinabalu city. 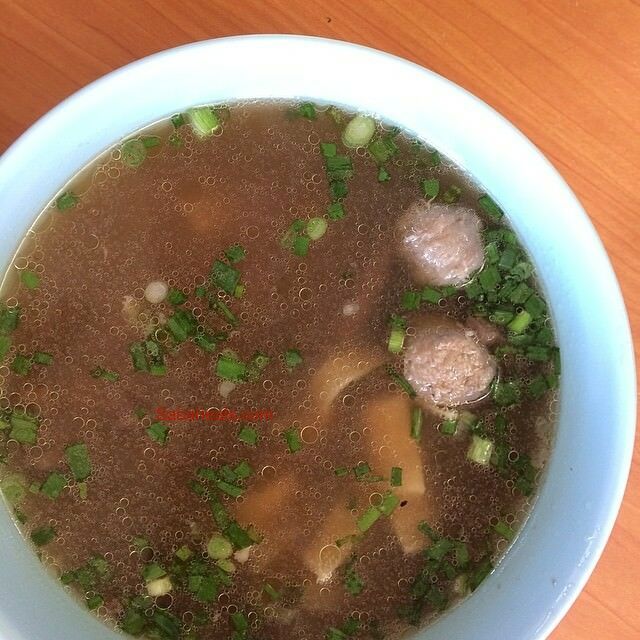 The beef broth is boil to perfection and with beef slices, stew, tripe, meatballs, tendon, meatballs, cooked just right. 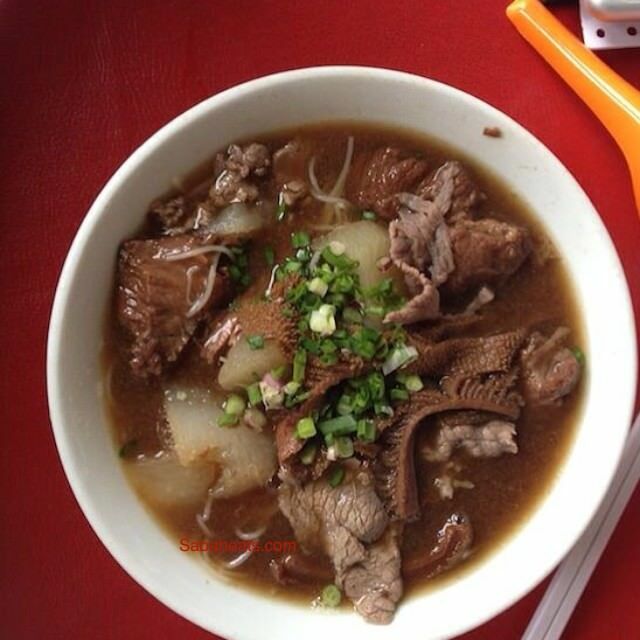 Every bowl of beef noodles served here is cooked and by the owner. 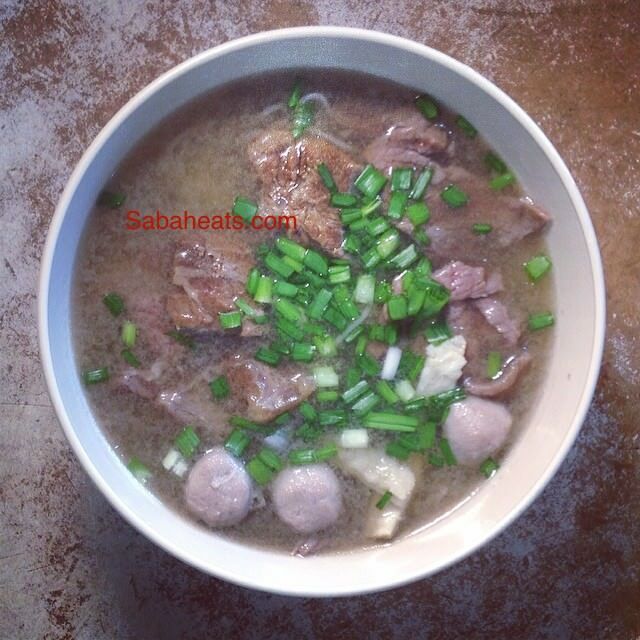 Serve with thick beef broth cooked with radish and beef goodness. 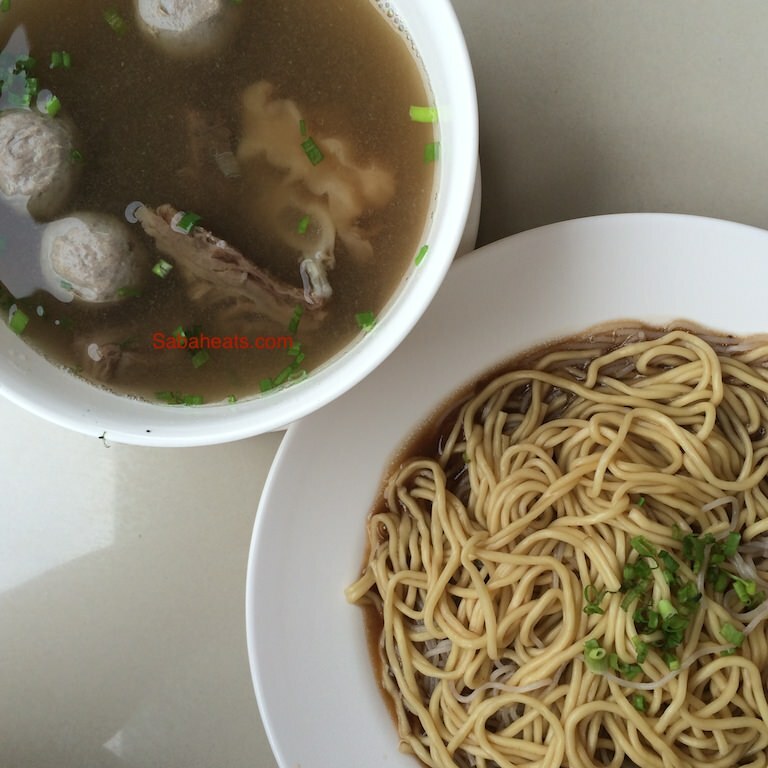 They also operate a coffee shop chain such as Kah Hiong Chicken and Kah Hiong Zhu Chap which serve chicken and pork. not your usual place for good food as it located inside the shopping mall at the center of Kota Kinabalu city but I found this coffee shop serves good beef noodle. Inconsistent ] but one of the local favourfavoriteed at housing area at Luyang Phase 6. Location: Luyang Phase 6 shoplot area, off Jalan Kolam. Great location located along Jalan Kolam. The broth is clear but I found the beef overcooked. 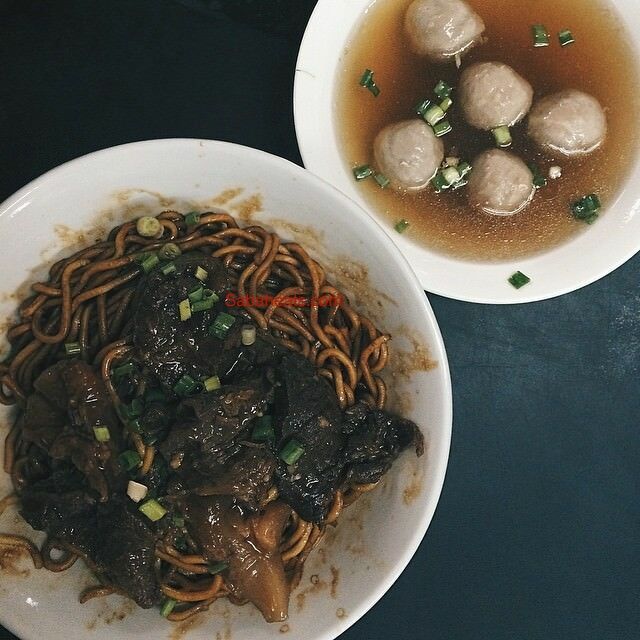 Old time favourite at Taman Che Mei, Penampang. The shop has been operating for more than 50 years! They recently open another new branch at Marketplace 88 area. Famous for its pork noodles but they do serve good beef noodle. Location is a bit hidden at Dongonggong but a food trip here is like an mini adventure. Located at Donggongon Town, Kedai Kopi Loi Hin is one of the oldest name in Kota Kinabalu who serve good Ngiu Chap for more than 40 years! Location: Block H, Lot 8, Ground Floor, Donggongon New Tonwship, Penampang, Kota Kinabalu, Sabah, Malaysia. Which Ngiu Chap is your favourite? Vote for your Ngiu Chap!